The Barrie-last. 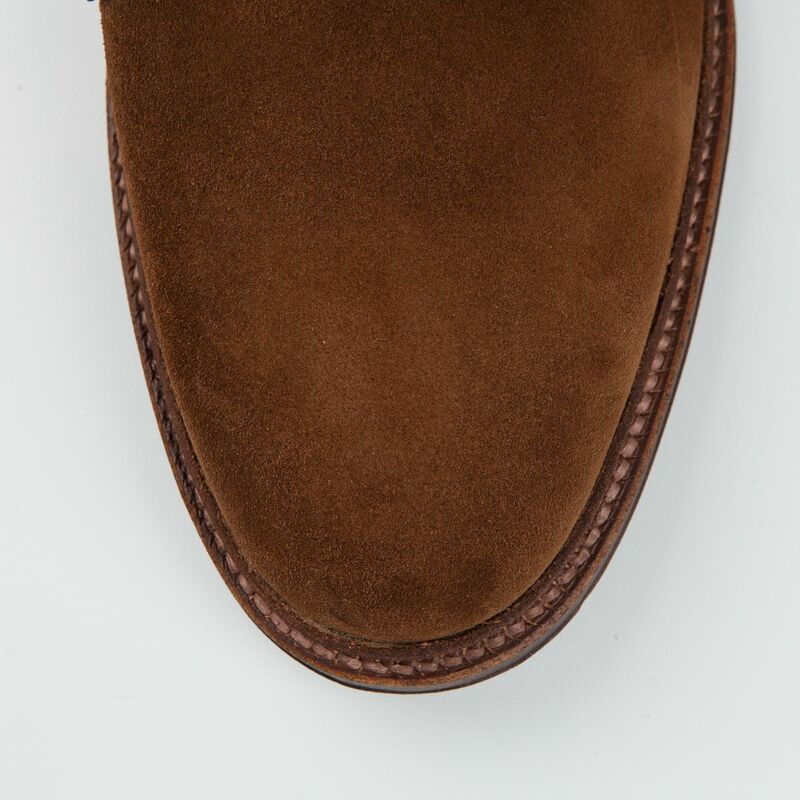 One of those truly iconic lasts that has perhaps the most beautiful shape for certain types of shoes, such as longwing bluchers and plaintoe bluchers. The most known shoe model made on the Barrie is definitely the Color Eight (#8) Longwing Blucher, made from Horween Leather Company's shell cordovan in the famous deep burgundy color. It is not just a one shoe model last though, and is being utilized on several other great shoe models, some seen in this article. Alden Cigar Cordovan PTB on Frans Boone. Why does it look so beautiful then? As always, the beauty is in the eye of the beholder, but I would point out three different factors that Alden has gotten just right when originally shaping the last. First, it really hits the spot for a casual and slightly more heavyweight last. The round toe is just right, not a millimeter too long or too short. Second, the last also has a nice and low profile (but not overly so), making a shoe look sleek but still giving it a somewhat heavy presence. 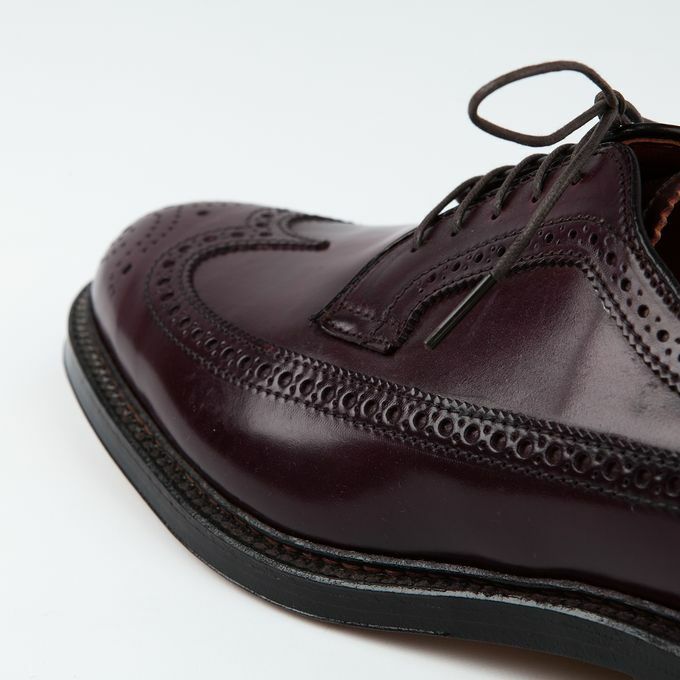 Third, the Barrie has a rather narrow waistline, something that is missing from many similar lasts. Without it, the last would look clunky and not have its pleasant overall look at all. Alden Snuff Sueded PTB on Frans Boone. How is the Barrie last fit wise? Well, nearly everyone sizes down, either a full size or half a size. I am personally a regular UK 7 (in some shoes UK 7.5) and wear size US 8.5D in Alden's Leydon last and size 8.5D in Aberdeen last. In Barrie I wear 8D. If you have very narrow feet, sizing down one complete size might be a good option. 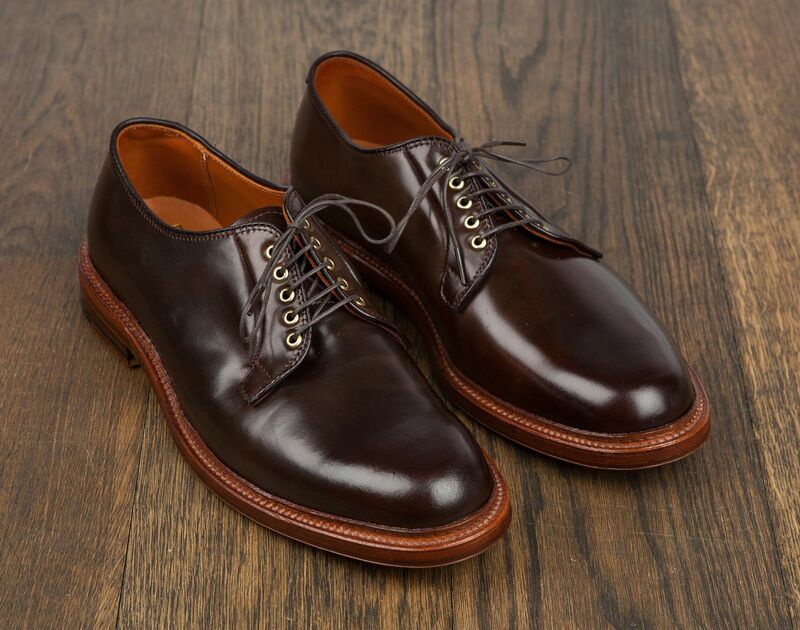 The famous #8 Cordovan Longwing Blucher. Where and with what should we wear all these fantastic shoes then? I'm sure some conservative Americans would disagree, but I personally think all the longwing bluchers and plaintoe bluchers (and, yes, all the boots too) belong to street style or just more casual menswear. So, for example, all the shoes pictured on this site would look amazing in this outfit. 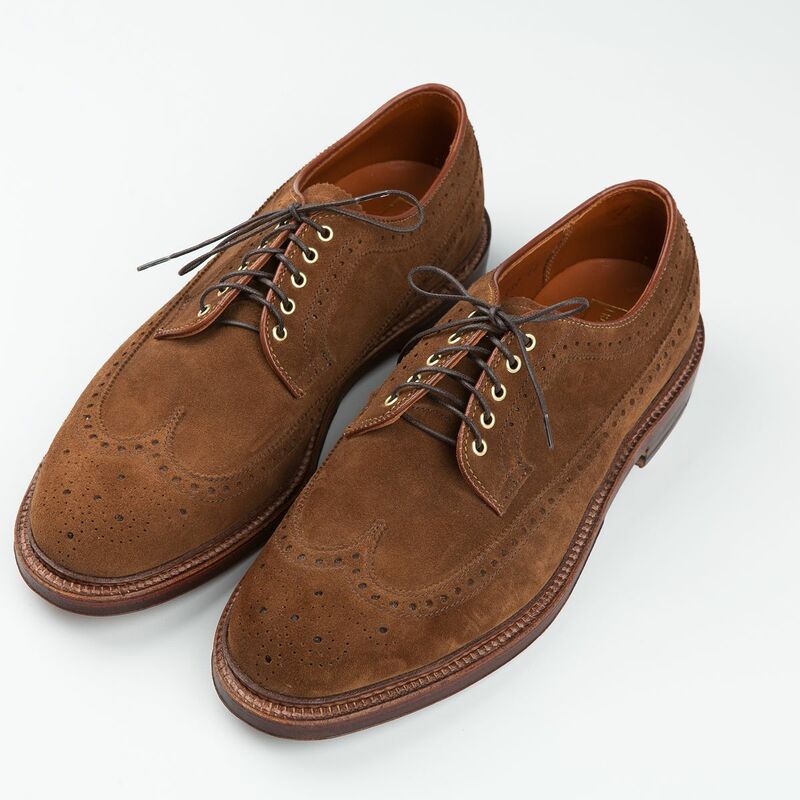 Snuff Suede Longwing Blucher, Frans Boone. The rest of the week will hopefully see the LBM 1911 article being published, but at least we'll see some outfits and something else. Stay tuned, and in the meanwhile remember to follow The Nordic Fit on Facebook and on Instagram, this way you'll get all the content and see every time a new post is published on the site.